This 2019 Easton Project 3 ADV BBCOR baseball bat is officially rated number five on my top 10 best BBCOR bat list. According to Easton, the 2019 Easton Project 3 ADV BBCOR baseball bat is the most technically innovative bat they’ve ever presented for BBCOR baseball players. That’s saying a lot, since Easton has been making excellent baseball and softball bats since 1969. Before that, they were in the business of making bows and arrows. This history can be seen in their bats too, since it’s like their baseball bats are weapons for baseball warriors to wield. The wizards in the Easton Advanced Labs have done their jobs well. They’ve come up with cutting-edge materials and technological innovations that offer the very best for BBCOR baseball players of all skill levels. You don’t need a very long break-in period for the bat before you can make use of it in a real game. In fact, its performance is already great even out of the wrapper. That saves you a lot of time and trouble. This has a balanced weight, and its design optimizes the weight distribution so you get fantastic control over your bat. Basically, you’re able to swing this quickly to the area you want to go. That means you’re able to make contact more frequently, and therefore you’re able to reach base more often. Your hands are also playing without too much risk of pain and injury from vibrations. Having a larger sweet spot means there’s less chance that you get vibrations from mishits, and these vibrations are reduced by features like the Soft Knob. Hitters enjoy having more leverage and power with the new barrel profile. That means you’re able to get more power that can enable you to get extra-bases hits. You also enjoy having a nice and comfy grip on the handle. The LS grip is soft, and the tack is effective. The knob design also helps. Players know that when the grip isn’t good, it can be very distracting when hitting. It’s hard to concentrate on swinging at a pitch when your hands don’t feel right or you’re not use that you can hold on to your grip when you take a strong swing of the bat. With the LS grip and the soft knob, you don’t have those distractions. Nothing is perfect, and that’s also true of the 2019 Easton Project 3 ADV BBCOR Baseball Bat. This is a great BBCOR baseball bat if you don’t really care about cost or keeping to a tight budget. But Easton baseball has long been among the most famous brands in the baseball industry, and this is their very best BBCOR bat. That’s not going to go for cheap. Most people like the grip, but this isn’t unanimous. A few don’t really care much for it. This just goes to show that not everyone has the same exact preferences. That applies to baseball bats too, or else everyone would be using this 2019 Easton Project 3 ADV BBCOR. This is a certified BBCOR bat, so it’s allowed for high school and college play. This comes with a 2-piece design with a -3 drop ratio 2 5/8-inch barrel, and a range of sizes from 30 inches (27 ounces) to 34 inches (31 ounces). This features the Launch Composite Technology. This tech optimized the barrel profile to reduce the needed time for breaking in the baseball bat. The optimization of the barrel also resulted for even a larger sweet spot than ever before. This helps in providing an ideal balance point, so that you have greater control over the bat and you can get to your best launch angle. The 2-piece bat uses a new iSO CXN construction connective piece that puts foam material into the bat. This is their innovative (and proprietary) Nitrocell foam that gives you increased power and a feel that’s more natural and solid. The foam also absorbs some of the vibration energy so that the sting is dampened when you mishit out of the sweet spot. You will also see the new Power Boost Soft Knob design. This new knob design softened the edge even more, so that you have greater wrist movement when you take a swing. What this means is that you can generate more power from your hands and then transfer that to the barrel of the bat (and then onto the baseball). This soft knob also somehow reduces the vibrations you feel when you hit out of the sweet spot. There’s a new end cap too, and it’s called the Speed Cap. It’s much lighter than before so that the barrel becomes even more responsive and flexible. You’ll then hear that great sound at impact, which urges you to run fast as you turn the bases. There’s also a new customized Lizard Skin grip with a distinctive pattern. The tack and comfort levels are terrific, with some nice padding to get your hands to relax. What’s more, the grip allows you to retain your hold on the bat even when the playing conditions are wet or your palms are getting sweaty. 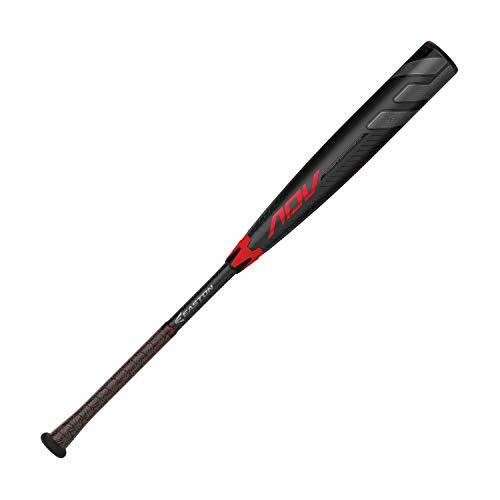 This 2019 Easton ADV -3 is an upgrade on the previous MAKO/Ghost bat. It’s now the flagship BBCOR baseball bat in the whole Easton set. Previously, this was the 2018 Easton Ghost X, which in turn was the new upgrade for the iconic Easton Mako. Both the Ghost X and the Mako were legendary performers, as they offered large sweet spots, a light swing weight, and great feel for hits and mishits. What Easton did was to do the seemingly impossible by improving on these bats by coming up with the 2019 Easton Project 3 ADV BBCOR Baseball Bat. This just goes to show you that the brand never really rests on its laurels. They serve their loyal customers by making sure they can offer the newest innovations to provide the very best bats for their BBCOR players. Want this 2019 Easton ADV BBCOR with Free shipping?